There are times when nothing but a large bracelet will do. 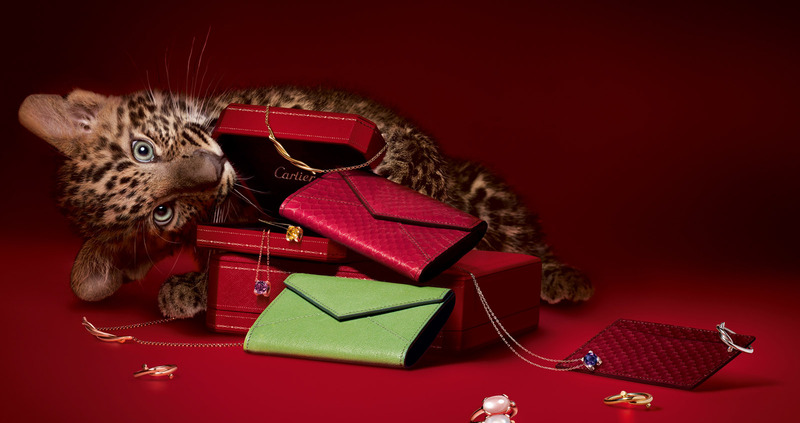 For those times, Cartier offers the La Dona. The bracelet itself stands alone as an elegant braid pattern made of half ellipses that create a magnificent illusion the eye is loathe to release. It is sure to attract lingering gazes not just from others, but from yourself as well. The case housing is settles in to a swell in the outline of the bracelet and is striking for forgoing complete symmetry. The base is wider than the the top lending a sort of Salvador Dali feel to the timepieces view of time. 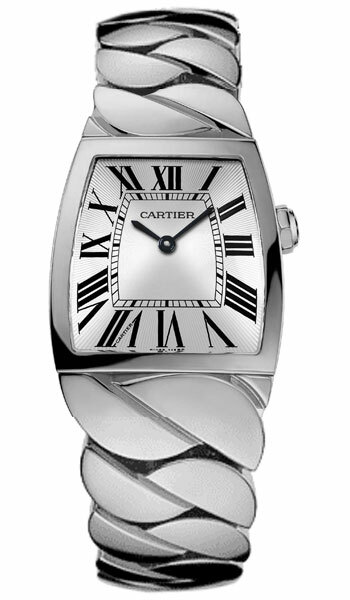 The dial is silver in colour with Cartier’s signature sword shaped hands in classy black sweeping past the dark roman numerals marking the hours around the edge. The numbers are laid over a ray pattern engraved into the outer circuit of the dial, lending a sense of linear texture to counterpoint the rest of the watch’s sinewy curvature. The crown is capped with a sapphire, and the display is protected by scratch resistant Sapphire crystal. The band is large and mercifully uninterrupted by the clasp by use of a hidden deployment that allows the braid to seem nearly seamless. There are two main drawbacks to this timepiece and both are consequences of the pleasing aesthetic choices made in its design. The first is that Salvador Dali feel to the face. There is a sense of uncertainty when judging the time, and one would be best served by treating is as though the numerals weren’t there. The second drawback is more severe. This much stainless steel comes at a significant weight. Prolonged wear should allow you to become acclimated to it. However, in the short term, unless you normally wear heavy jewelry, you are going to notice this clunky weight on your wrist by the end of the day, and may even grow fatigued by it. On the plus side, you can think of it as a wrist weight for a little extra exercise during your day. Try not to overestimate it when rewarding yourself with an afternoon snack. Not recommended for deflecting bullets ala Wonder Woman, but you wouldn’t be blamed for suspecting you could.